It’s the ultimate biking weekend of the year. 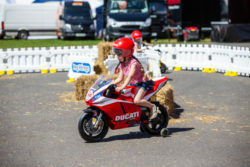 The Devitt MCN Festival of Motorcycling is the largest outdoor bike show in the UK boasting the biggest test bike fleet in Europe. Bring your helmet and get involved! 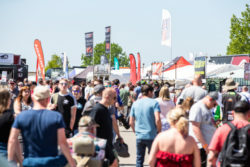 Ride the 2019 bikes: It’s the only event in the UK where you can road test bikes from all the manufacturers in the same place. There are hundreds of test ride slots all up for grabs. The only thing you need to do is bring your licence and lid and book yourself onto as many rides as you can! 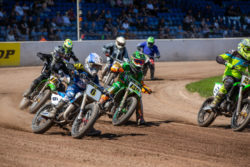 See two full days of proper racing: The Dirt Track Riders Association will be holding a two day round of oval racing at the Festival. Races include everything from rookie, pro, junior (7-11 year olds) and the dramatic Hooligan class. 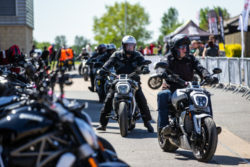 One of the highlights of the round, the Hooligan racing has everything from Harley Davidsons to Ducati’s thundering around the speedway track. 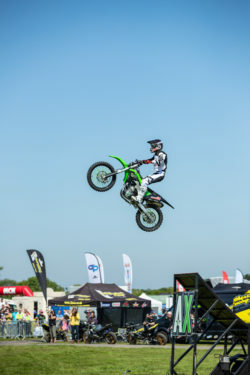 See some incredible stunts: We’ve some jaw dropping stunt shows lined up including the impressive Arenacross Freestyle Motocross team, the Michelin sponsored Two Brothers stunt crew plus the incredible Steve Colley and Dave Coates. There’ll be 40ft jumps, rolling burnouts, wheelies, stoppies, whips, flips and tricks galore! Bag a bargain: If it’s bargains you’re after the Festival is the place to be. We’ve got acres of retail stands selling everything from discounted clothing to top notch gear from premier brands. Stay for the weekend and party! There’s so much to see and do it makes sense to camp. 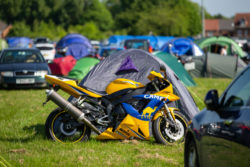 Camping is on site and just a short stumble from the Arena where you’ll find live music and a late bar on Friday and Saturday night. Please note that photographs and footage will be taken throughout the Devitt MCN Festival. These will be used by the event organisers for marketing and publicity in our publications, on our website and in social media or in any third party publication. Please contact the event organiser if you have any concerns or if you wish to be exempted from this activity.